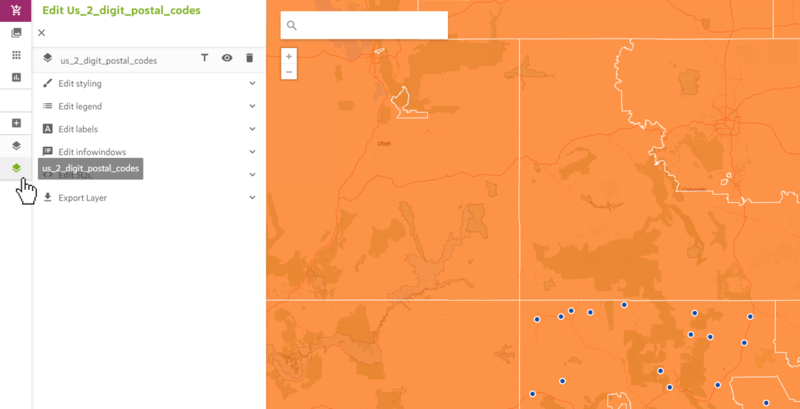 The Spotzi Mapbuilder allows you to add multiple layers to your map. 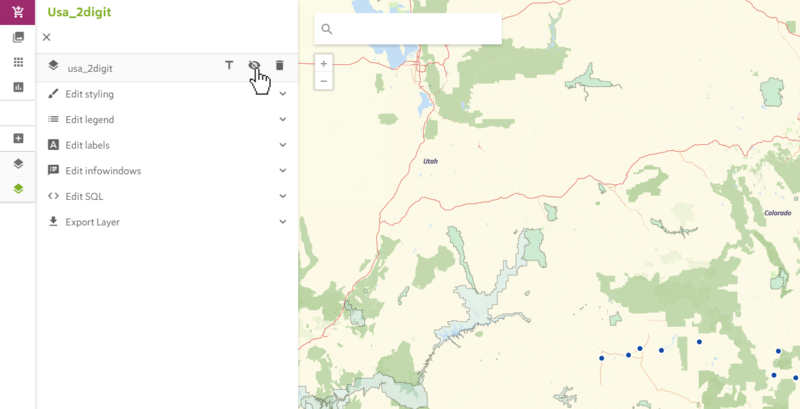 All map layers and their corresponding map layer options can be accessed in the console on the left hand side. If you have multiple layers, the green layer icon indicates which layer you are currently editing. If you want to rename your layer, press the T button. A field will appear, in which you can type the new name. After changing the name, press SAVE. Keep in mind that this action also changes the name of the underlying dataset. 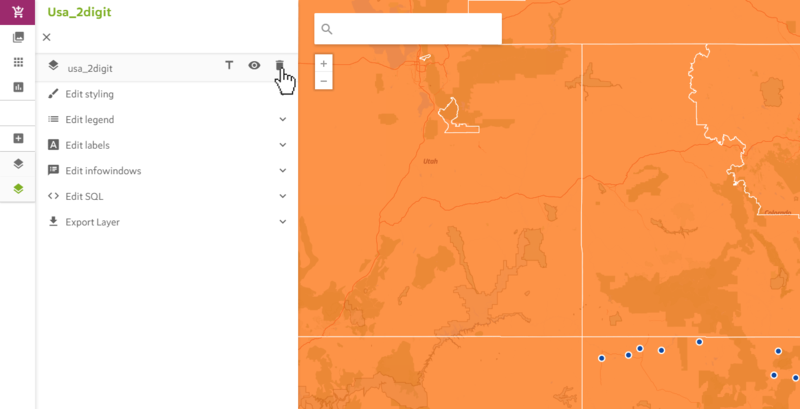 If you added the same data layer to other maps, the name of the data layer there also changes. In order to make a map layer invisible click the icon that resembles an eye. Your map layer will disappear. 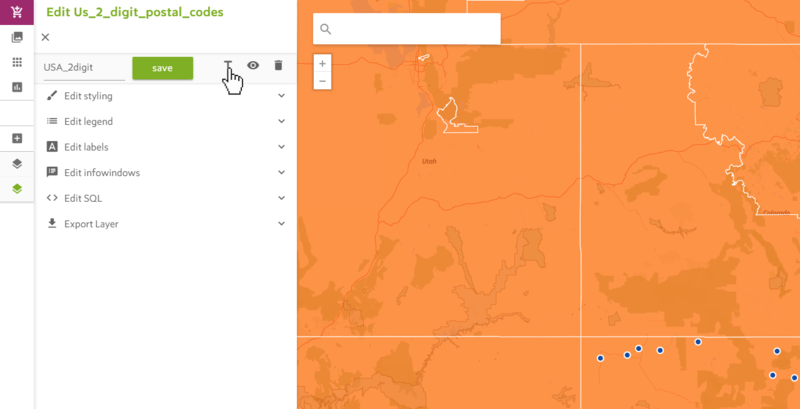 To delete a layer from your map press the button that resembles a bin. A popup screen, in which you are asked if you want to delete the layer, will appear. Confirm by clicking the DELETE LAYER button. 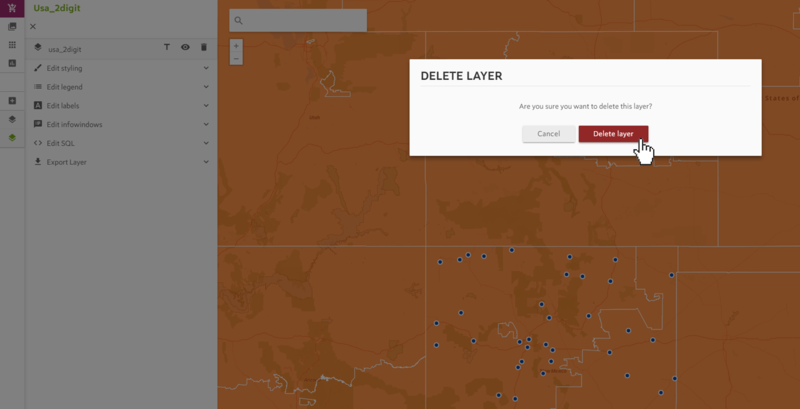 Deleting a layer from your map does not mean that you deleted the data permanently. It is still available in MY DATA and you can add it again or add it to a different map.